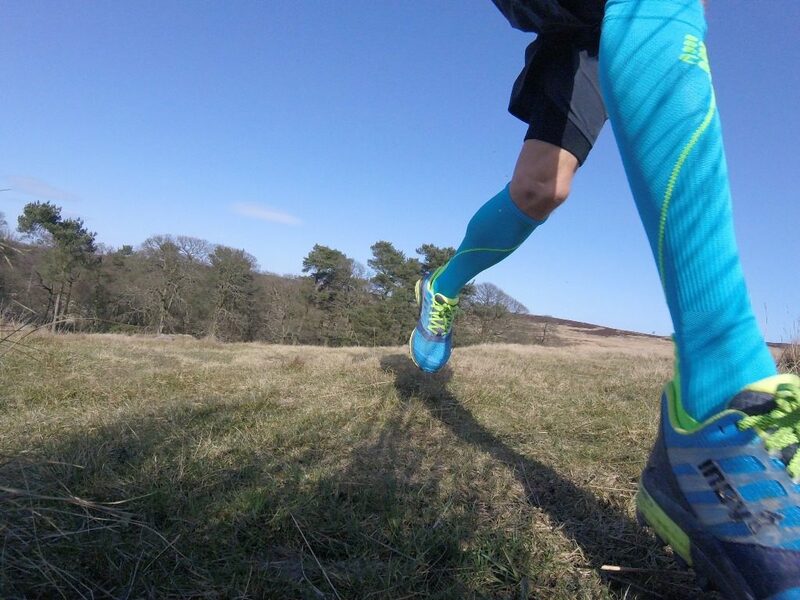 Compression socks are a bit like Marmite; some people love them, some people hate them (even if they’ve never worn them!) There are plenty of claims by manufacturers that wearing compression clothing can result in: “increased blood flow, faster clearance of lactic acid, reduced swelling, reduced post race soreness, faster recovery times” etc etc however it is hard to find any scientific studies that prove that compression socks actually improve your performance. So why wear them? 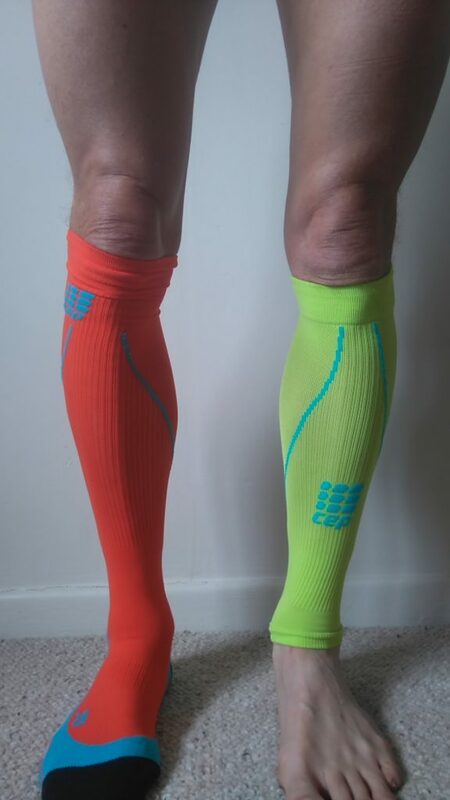 I’ve recently been using CEP compression socks and calf sleeves for some of my runs. I must admit that a couple of years ago I was in Marmite camp 2 – thinking that compression was for the European Ultra runner and was worn more for fashion rather than function. Now though I can seen some instances where wearing compression socks is beneficial. My first impression on opening the packet was “wow, funky colours!” Most compression socks I had seen before had been black but not these. Lime and Hawaii Blue “great they’ll match my Trail Talons” Sunset and Hawaii Blue “yep got some X-Talons in orange and blue” Lime and Pink! !… (yes they do women’s and men’s versions) A cursory glance through the accompanying literature had me smiling when I saw that there were instructions for putting them on; I’m an adult, they’re a pair of socks, how hard can it be! Ten minutes later I was rummaging through the bin looking for the instructions as I was having difficulty getting them on! The trick is to start with them inside out – obvious now. Once on (eventually) the 85% Polyamide & 15% Spandex socks give a snug fit around the foot, being shaped to fit left or right feet and there are compression bands around the midfoot, ankle and calf that target the compression to specific areas. They feel snug, comfortable and well made. It’s important to get the correct size by measuring your calf’s circumference rather than shoe size. matching shoe / sock combo – very important! The first few runs with them I was a bit self conscious, I noticed adults having a surreptitious glance at my legs whilst young kids just openly stared. (they are available in plain black if you are really that concerned) So other than wanting to be the brightest clad runner in the Peak District when else would I choose to wear them? Chilly mornings. I prefer to run in shorts rather than tights, even in winter unless it’s really cold and a knee length compression sock helps keep the calf muscles warm. This is especially important if I’m planning on running fast or steeply uphill where the calf muscles will be contracting more forcefully. Extreme weather. 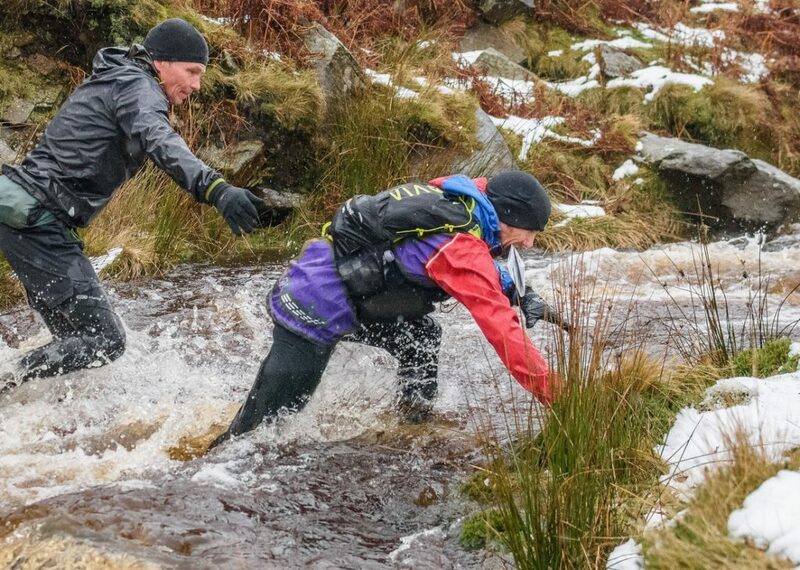 At the 2017 Marsden to Edale “Trigger” race I wore a neoprene sock over compression socks. This combination gave some protection to my feet and lower legs from the numbingly cold snow melt streams that had to be crossed. Thankfully this meant that once across the streams I could run straight away as I was still able to feel my legs and feet. Long socks also give protection against the cold and abrasions when running in snow. Long mountain days. 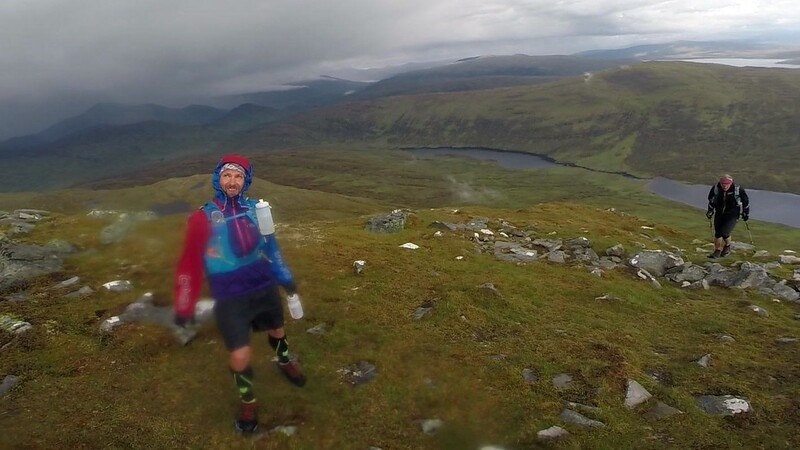 I wore compression socks when completing the Ramsay Round and also whilst supporting others on their rounds. The long climbs take a toll on the calf muscles and I like the feeling of a tight sock (I don’t claim that the sock makes the climbs any easier though!) They also offer protection from stones whilst ascending and descending scree and whilst negotiating pathless sections of knee deep heather! Also they can help guard against ticks especially in areas of Scotland where they are prevalent. Recovery runs. 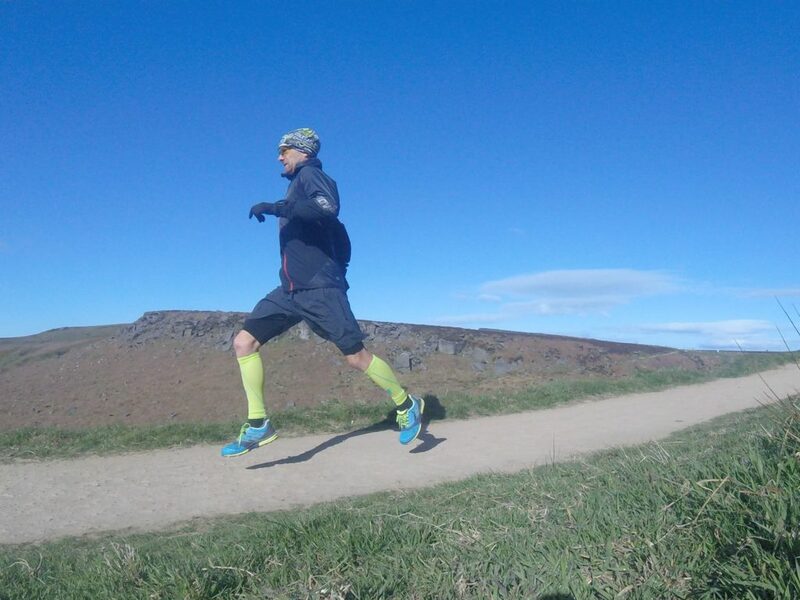 I often get sore / tight calves especially after races or hard, hilly training so I often wear calf compression the following day on an easy paced recovery run. This isn’t down to believing that wearing compression will speed my recovery – it might or might not – it just feels comfortable. 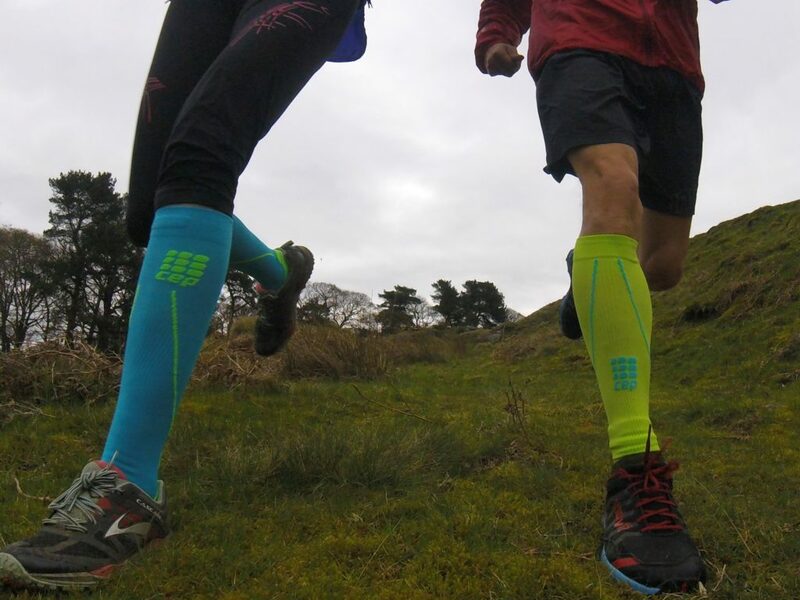 As well as compression socks CEP also make Calf Sleeves. What’s the difference and why would I choose one over the other? The socks offer compression around the foot and ankle, the calf sleeves only around the calf. The calf sleeve is a bit easier and quicker to get on. The socks get wetter and sweatier and so need washing more often whereas the calf sleeves can be worn a few times before they need washing. 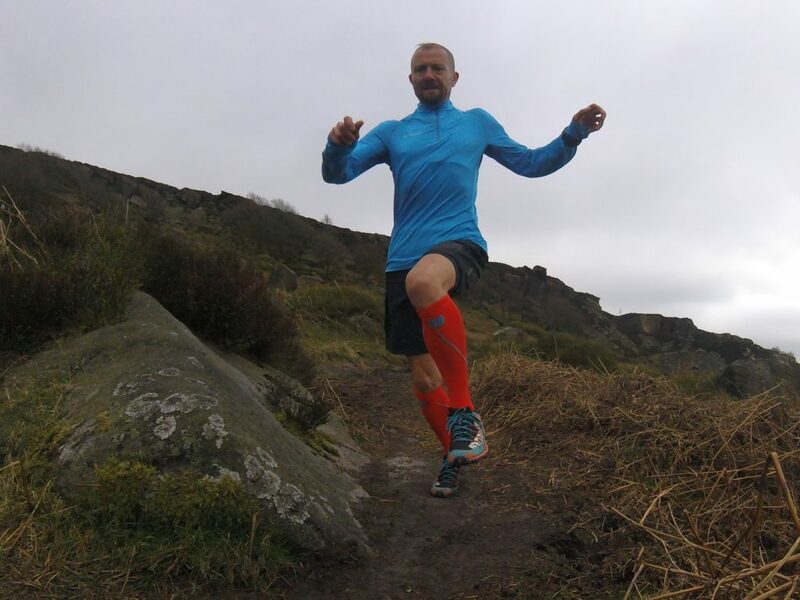 Calf sleeves can be combined with neoprene or waterproof socks for winter running whereas the sock would be too thick. The calf sleeves are cheaper. Tricky to put on – read the instructions! Posted in Charlie Ramsay Round, Clothing, Equipment, Reviews and tagged CEP compression.